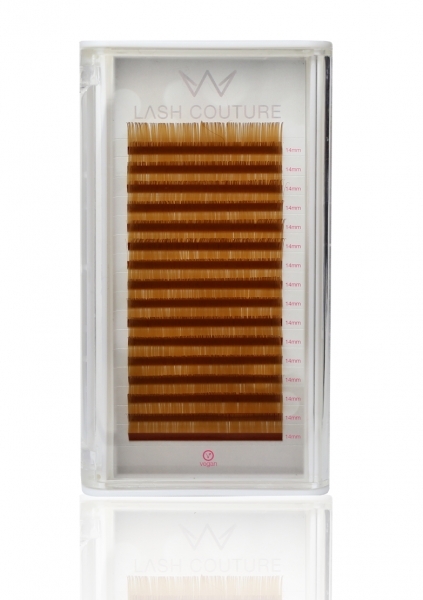 Our light brown lashes now in all lengths and curls! Our brown lashes are particularly suitable for very light skin and hair types or for women with freckles. Because with brown hair instead of black, the extension do not look artificial and do not form a hard contrast to skin and hair. It is also suitable for women with reddish hair.